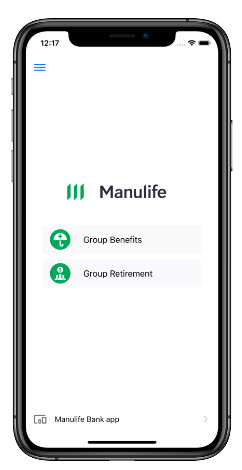 Get the Manulife Mobile app for group benefits and group retirement today! Fresh, intuitive design allows you to conveniently submit claims, use your benefits card, look up details about medication and lower cost options and find health care providers near you – just to name a few! Keep track of your retirement savings progress from anywhere. Always know where your money is invested and how you’re tracking towards your goals! Download the app today to access your group benefits or group retirement accounts on the go! Use the same login information you do when using our website.